Mark your calendars for these August events, DC communicators! Think nothing happens in DC in August? Think again! There are plenty of educational and networking events coming up this month for communicators, and people interested in learning more about PR, marketing, and social media! Click each event for registration information. Fees: Free for WWPR and PRSA members; $15 for non-members. Bring a bag lunch. Fees: Free. Buy your own drinks. Fees: Free for WWPR and PRSA members; $15 for non-members. Bring a lunch. I am very pleased to report (okay, brag!) that I have been asked to join the DC Ad Club’s ADDYs planning committee for the second year. Awed, in fact, considering the company I will be keeping. I’d better shake off my summer laziness and get my creativity in gear, because our first meeting’s in August. Last year, I wrote a public relations and marketing plan, produced nine videos, optimized the DC Ad Club YouTube Channel for search, and resurrected and redesigned the DC AD Club blog. I feel good about my contributions. And it was fun! My not-so-secret hope is that the public relations community and the advertising community will mix more, because I think we could do great things together, and learn from each other. I know I learn a lot. So this is my small move in that direction. 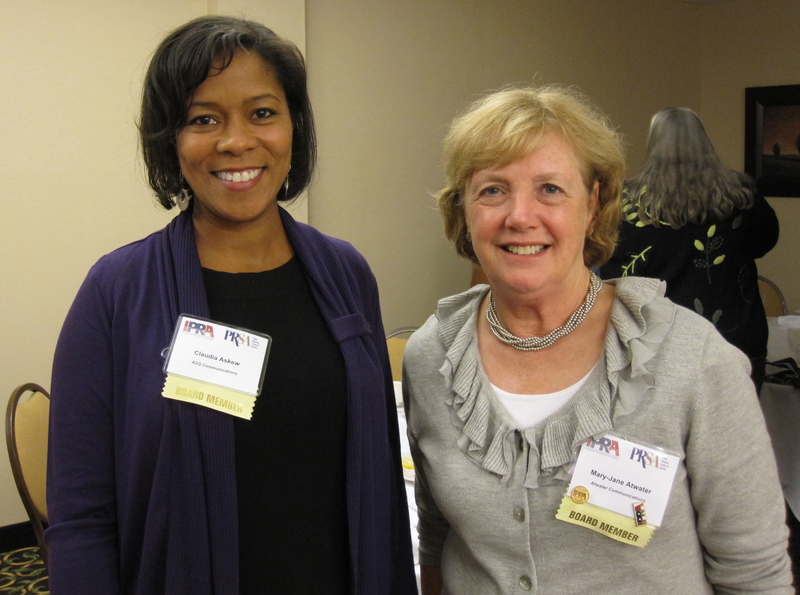 I’m excited that I will be once again working with Wendy Moniz, co-chair, from The Plowshare Group. 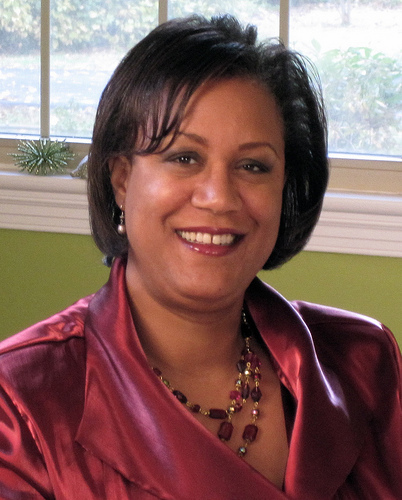 Joining Wendy will be Beth Johnson, President of RP3 Agency. Jim Lansbury from RP3 will be back, as will Eric Frost from The Plowshare Group and Greg Kihlstrom from Carousel 30. I’m looking forward to getting to know the new committee members, Jamin Hayle and Lisa Biskin from RP3, and Valerie Vyoscak, Senior Sales Manager at Video Labs. Last but not certainly not least, I will especially look forward to working with DC Ad Club’s Executive Director Carol Montoya, with whom I produced some ADDYs videos last year. Getting an award for your communications work is a real feather in your cap, second in value to your business, I would think, only to landing a great client recommendation or testimonial. Area communications organizations know this, and capitalize on this. The annual awards programs are major revenue-builders, as the leadership will readily admit. That’s one reason why there are so many categories! More entries, more chances to win, and more revenues. That’s not to say awards programs are not valuable endeavors, even to those communicators who don’t win awards. I enjoy the awards programs because I like to see what kinds of approaches are being used by communicators — when that observation is provided for. Locally, DC communicators have a variety of awards from which to select — PRSA-NCC has the Thoth Awards, The DC Ad Club offers the ADDYs, and IABC-DC has the Silver Inkwell Awards. 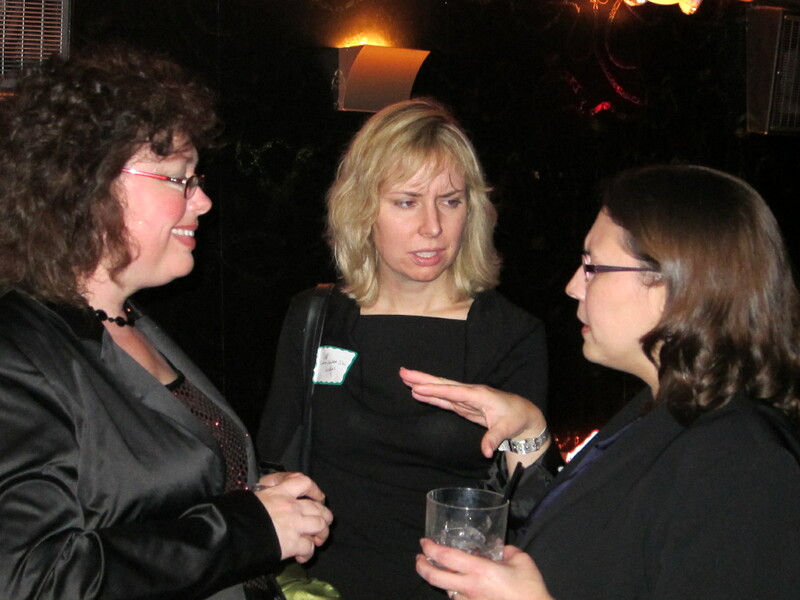 Honestly, I don’t know much about the IABC-DC awards. I’m not a member. But I do know about the PRSA-NCC and DC Ad Club award programs. I have worked to promote both in past years. But I have only entered one of these competitions. Can you guess which one? Although I identify primarily with the public relations community in the DC area, the awards competition I care about enough to enter is the ADDYs. The Thoth Award is a great award to have. But the ADDY Award carries more prestige, for this reason: once you win the DC-based Thoth, that’s it. You do not go on to win regional or national recognition for your work. The ADDYs, by contrast, are a tiered competition. DC area winners go on to compete in the regionals. Regional winners go on to compete for the national awards. Winning a national award is a big deal. Winning a DC-based competition, not so much. I believe the PRSA should implement a tiered competition, as does the American Advertising Federation. The current system is more than a little confusing, and not tied to the local chapters at all. It would make for a more meaningful and exciting competition, and would also promote national standards of excellence for the profession. The primary reason why I have not entered the Thoth competition is because of the way the judges are selected. I am not alleging that the judges are prejudiced one way or another, and I appreciate the volunteer service of past judges. I’m sure they strive to be as impartial as possible. The problem is, the way the judges are selected for Thoth does not ensure impartiality in the way that the ADDYs do, and impartiality is a critical aspect of any awards competition, particularly a local one. Thoth Awards: Local judges. No transparency. ADDY Awards: Non-local judges. Full transparency. The judges for the ADDYs are selected for their expertise in each category. Many are known nationally for their work, and no judges within the Washington metropolitan area are included on the judging panel. An effort is made to create diversity among the judges. And, while it is a volunteer gig, their expenses are reimbursed, which is important for out-of-area travel and makes the impartial nature of the judging process feasible. Also the names and backgrounds of the judges are released beforehand. Walking into it, you know your work is going to be assessed by some pretty incredible folks. Even if you don’t win, that carries value for the entrant. But importantly, they’re evaluating the work. Not you. The Thoth Awards, by contrast, are judged by members of the PRSA-NCC, usually the prominent ones. There are only about 1200 of us. If you’re active in PRSA-NCC, chances are, you will personally know the judges, and they will know you, to some degree. Possibly a higher degree of acquaintance than name only, if you have created work worthy of an entry. Not that you know who they are, because the identities are not made public. But they know who you are. And just that fact, I think, makes it really hard for them to be impartial judges of the work. They’re just too close to it. Also there doesn’t seem to be any established way of selecting judges. I know people volunteer and I know people are asked. But what criteria is used? They appear to be hand-selected by whoever is in charge of Thoth that year. There is no clear criteria for judge selection for the Thoth awards (at least, none that is publicly available or disclosed) the way there is for the ADDY Awards. The anonymous nature of Thoth judges presents a problem for many entrants. You know your work will be judged by your peers, but you don’t know if those peers actually have any expertise for your category. You’re not assured, for example, that they have experience in, or even an understanding of, the category they are judging. Honestly, you don’t even know if the judges are entering the competition themselves that year. (Of course, I don’t think they should, and I don’t think Thoth committee members should enter the competition for the year they serve, either.) None of that is clear to the entrant. These factors make their assessment difficult to value, as an entrant. As I mentioned, communications organizations load competitions with plenty of categories because awards programs generate big revenues. It gets a bit challenging, actually, when it comes time to actually distribute all those awards on awards night. Because space and time are at a premium for awards ceremonies, the Thoth Awards tend not to display the work in a way that is meaningful to the awards ceremony attendees. So you can attend the Thoth Awards, either as an entrant or just as a spectator, and walk away with a bunch of names that evening, but no real demonstration of why their work was considered excellent. You don’t know why they won. The learning piece is not there. The award winners are not even displayed on the PRSA-NCC website. The ADDY Awards, in comparison, is a whole different affair. Visit the DC Ad Club website and you will see the winners, not just for the most recent year, but for several recent years. Think what a marketing benefit that is for the award-winner! But more importantly, display of the winning entries (at the various levels) is an integral part of the ADDYs. There is ample time to peruse the gallery of entrants, both before and after the awards ceremony. And during the ceremony, care is given to display the entries, as time allots (for example, videos are shown, and screen grabs of websites and logos are displayed). Not only does this make for a more interesting evening, but you actually learn something about what constitutes excellence in this area, and for that category. The cost of entering the Thoth Awards has not prevented me from entering. What has discouraged me from entering is the judging approach. But I think it’s worth pointing out the Thoth Awards is a pricey endeavor, in comparison to other awards programs. This would prevent some firms from competing to the same degree as other, more well-heeled firms. I imagine if you were submitting 10 entries, cost could be a factor. And there is a marked difference in entry fees between the ADDYs and the Thoth Awards that I can’t see as justified. 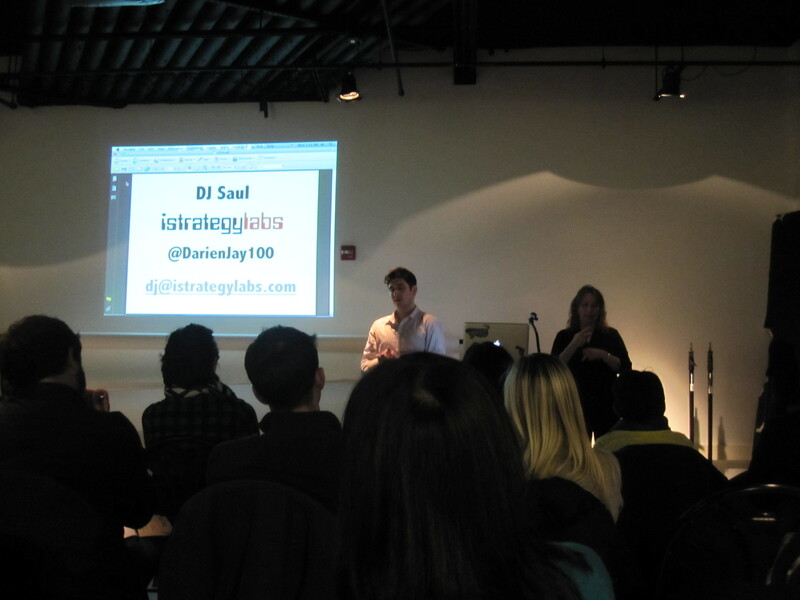 Last year, a DC Ad Club member could enter the ADDYs for $100 per entry. That is the one time fee. The local winners would not have to resubmit entry fees to compete at the regional and national levels. That is included, if you win. And let’s face it, the time to assemble the entry costs money, too. With the ADDYs, you do that just once. Contrast this to the PRSA-NCC’s Thoth awards. Not a tiered competition. Not flying in and hosting judges, like the ADDYs does. Not renting a space sufficiently large to display award winning entries, like the ADDYs also does. But in excess of 50% more expensive, per cost per entry: $160, for PRSA-NCC members. How is that justified? So, thinking about entering the national PRSA Bronze Anvil or Silver Anvil competitions? You’ll have to enter those competitions separately, and pay separately, too. In addition to the time you’ll spend preparing your entry, get ready to write a check for $300 per entry for the Silver Anvil, or $175 for the Bronze. But don’t forget to tack on $25 extra if you pay your entry fee by check! And, tough luck, there are no regional categories for the Bronze Anvil or Silver Anvil Awards. Nor are there Student Awards (with suitable discounts), as there are for the ADDYs. Should You Thoth? Or Not? The truth is, the Thoth Awards are not the only game in town. Communicators do have options. As much as I support the PRSA-NCC in other ways, I think the awards program requires serious restructuring, from the top down. It’s time for the PRSA to emulate the American Advertising Federation, and for its chapters to do likewise. Naturally, I expected the speakers to talk about creativity. Well, I was misguided. They mostly talked about how to manage a beginning career as designer. Creativity really didn’t come into it. Erik Dreyer focused his comments on productivity. He shared organizational tips about using jump drives, notebooks, and email reminders. He explained how to keep a neat Mac Desktop. He did mention that he drew pictures of people in meetings to jog his memory of who they were later, which was kind of funny. But his suggestions didn’t strike me, you know, as overwhelmingly creative. Alex Slater also didn’t really talk about creativity, per se. He just talked about how you couldn’t make it as a creative professional unless you had talent, passion, and were in the right place at the right time. That pretty much went without saying, so the only insight I gleaned from his remarks is that he has some kind of unnamed problem with the Ad Club that he wouldn’t elaborate on, and with managers who critiqued his work. DJ Saul was a marketer and didn’t really address creativity at all. He shared professional networking tips. The audience of 20-somethings responded to his rapid-fire style of speaking and Millenial-style quips of wisdom. I guess it was all hard for me to relate to, and I felt it didn’t really have much to do with creativity, but I think the audience enjoyed the irreverent style, peppered with f-bombs. But honestly, having a kid means you will never, ever do work you’re not proud to sign your name to, which is a huge boost to your creative powers. At least, that is true in my case. My son knows what I do, watches my videos, and even meets my clients. I couldn’t do work I didn’t believe in because — well, I’m trying to make him proud of me. I decided to take the evening for what it was worth and just absorb what younger people had to say. I was struck, as I always am, by their energy but also how different this generation is from my Generation X. When I and my peers were in our 20s, we were not quite so aware of our age as these people are. We did not make a point of being under 30. Our youth wasn’t something we cultivated as an identity. We identified ourselves by our work and position. We mixed a lot more with older and more experienced people, and we didn’t have “young professional” networking groups or “under-30 entrepreneur” groups. My generation would have thought that was odd, because we were trying to climb the ladder, which for us, doing whatever we had to do (ref: 80s movies “Working Girl”, “Baby Boom,” and “Secret of My Success”) to connect with older, more influential, and more experienced people. So, I always have trouble relating to the Millennial mind set in this regard. But I did feel inspired by the thoughts of one of the speakers (Caleb Stewart), who rather elegantly explained (without four letter words) what he felt was the point of creativity, from a commercial standpoint (but not how, exactly, to tap into your creativity). He talked about how every creative video or graphic should tell a story and get people emotionally invested. 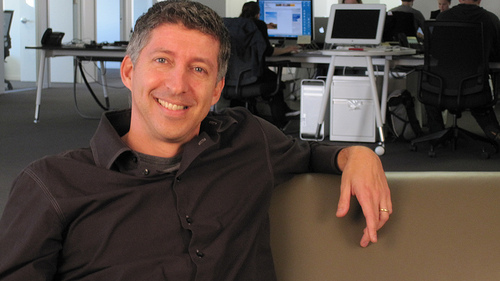 He said when people react, they naturally take a side (hopefully your side) and relate to you/your product/the story. He also referred to this as finding your theme, and said in your artistic or creative work, you might find yourself coming back to certain themes, or being true to certain themes (to a point where they could be identified). When people react to your (commercial) creative work, claimed Caleb, they naturally reach for their wallets. He cited the Apple logo as an example of this storytelling, with the theme of simplicity. But back to creativity. Since I didn’t learn any creativity tips or tricks tonight, what does it take to be creative? And is creativity limited to “creatives” who swear a lot and who are under 30? Of course not. Children are incredibly creative. People of all ages are. Look at Da Vinci. A willingness to play, explore, and learn, and try new things. An openness to the world. A desire for self-expression. Actually, a real drive, almost a compulsion to create. Materials and tools — clay, sewing machines, paint, drawing pads. But a really creative person can be creative with almost anything — a bar of soap, some foil, or a piece of fruit. I saw an artist carve a beautiful goldfish from a carrot. Leisure time, or otherwise, tremendous pressure, depending on your style…It’s hard to be creative if you are very stressed, or have lots of housework, or are exhausted from raising children or working a tough job, or have other distractions. On the other hand, people like J.K. Rowling managed to be creative even under very challenging circumstances. Inspiration, whether it is an art exhibit, a garden, or colorful pillows in a row. Courage, to try something and have it not be as good as someone else’s, or not live up to your own expectations. The ability to take a risk and run with it. Guidance, from teachers and models who show us new ways of telling a story, whether it’s with words, paint, photo, video, or other media. Did you resolve to market smart in 2011? Me, too! I plan to attend a number of marketing events in 2011. Join me and learn new techniques and approaches, and find inspiration. (The events in green are Fletcher Prince-sponsored events). Need a once-over of your marketing plan? Need some quick advice as you get started with social media? If you are a Fletcher Prince Facebook Fan, you can join me for lunch to discuss your year’s marketing plan at Tuesday, January 11. Click here for details. Interested in audio or video podcasting? The DC Podcaster Alliance is having their kick-off meeting for 2011 on Saturday, January 15 at 2:00 p.m. This is a free group that meets almost monthly in Falls Church; friendly bunch of folks. Got the night off on Wednesday, January 19? Join Ad 2 DC and the DC Ad Club at CDIA-BU for a presentation on tips and tricks for being the best creative professional you can be. Down the hall, you’ll find the folks from TIVA-DC talking about what it takes to win a video competition. Then sign up to have lunch with Washington Women in Public Relations on January 20 to hear Shashi Bellamkonda speak on social media. I would love to have you sit with me at lunch! Wednesday, January 26 is the first “Watercooler Wednesday” sponsored by Ad2DC and the DC Ad Club. The networking event (geared toward younger advertising professionals, but all ages welcome) is free and is held each month at a different location. The same night, the Social Media Club (DC chapter) is having a free event in Arlington about how social media and technology is used in the entertainment industry. Starts at 6 p.m.
Have a drink with some amazing creative professionals in advertising who are traveling here to judge the DC ADDYs on Friday, January 28. More details forthcoming from the DC Ad Club. 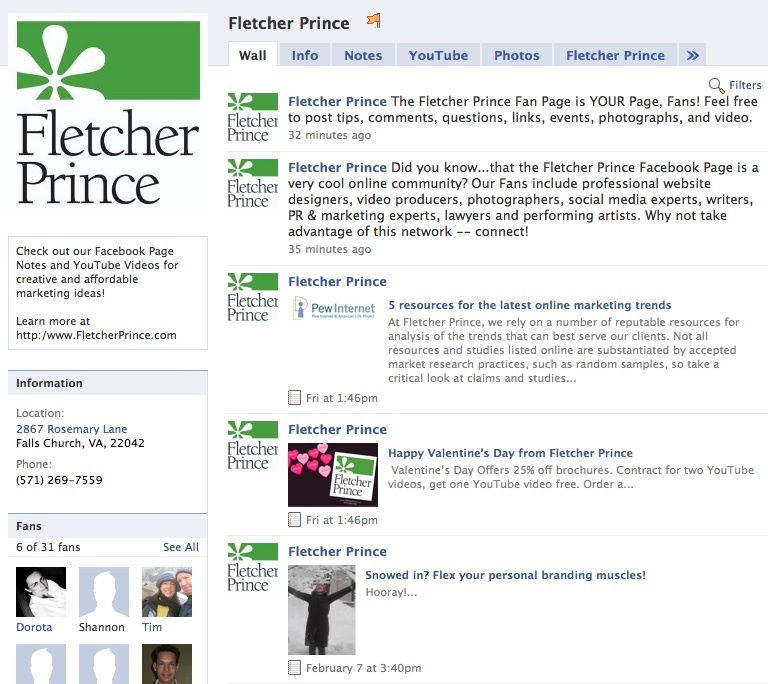 As we bid farewell to 2010, let’s take a look at what Fletcher Prince accomplished this year. For a tiny marketing communications company of two people, we sure do manage to keep busy! Thank you for watching our light-hearted retrospective video, and check out this report on our year’s activities. We worked hard this year, and our clients saw results. 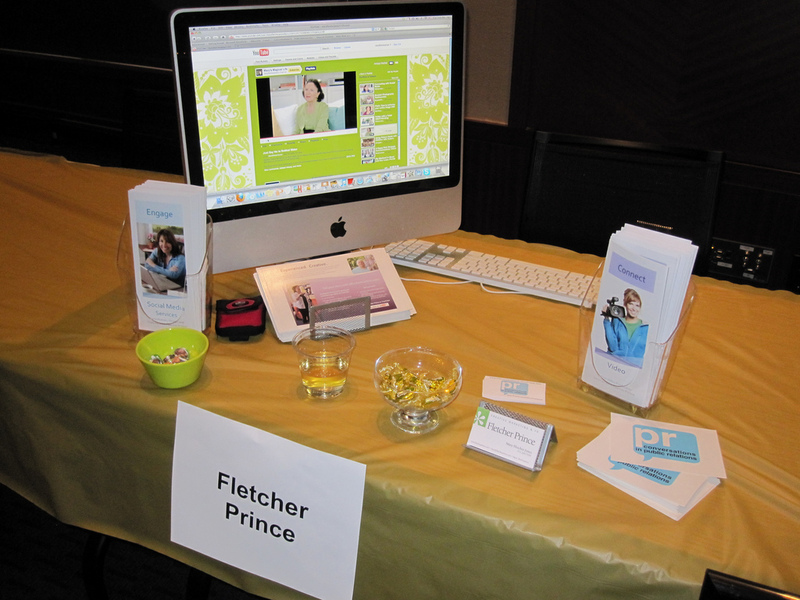 Social media development and video production continued to be strong earning areas for Fletcher Prince. YouTube Video. We created 9 new YouTube Channels for clients in 2010, to result in a total of 16 Channels total on YouTube. Our 250 YouTube videos have more than 140,000 views (not counting additional iTunes podcast views and Facebook views). Our most popular video is a Fletcher Prince production on graphic design with more than 20,000 views. Blogs, and more blogs. We administer 10 blogs and have coached clients on the development of several others. The blogs we write for have more than 35,000 views, not counting Examiner.com articles and Facebook feeds. Facebook. We have created more than 16 Facebook Pages for clients and ourselves, and have coached others on their Facebook Page development efforts. The Facebook Pages we have created include businesses involved in real estate, restaurants, and professional services, as well as nonprofits. Twitter. We continue to develop customized Twitter profiles and coach managers on how to use Twitter effectively. There are more than a dozen customized Twitter profiles in our portfolio. In 2010, we worked on a variety of exciting marketing projects with our beloved existing clients Rink Strategic Communications, Dominion Mechanical, and Fall Properties. Projects included everything from media relations to email newsletters, from website design to YouTube video production, and more. We were also delighted to work with new clients Cosmopolitan Photography, Keenan PR, The Hannon Group, ASQ Communications, and PRofessional Solutions. David and I were especially gratified to be brought on as partners on amazing projects on a subcontracted basis, including work for Timberline Bank, Howard University, NeighborWorks America, and Deloitte Touche. We would like to thank our colleagues for their faith in us, and welcome more opportunities like this in 2011. At Fletcher Prince, we continue to complete pro bono projects on behalf of communications organizations. Developing a public relations and social media content development plan. Writing and pitching a media release announcing the call for entries. Creating a new DC Ad Club blog. 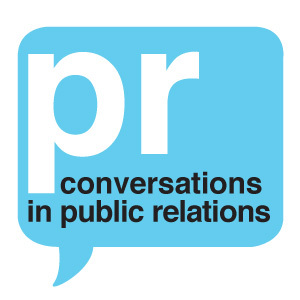 Conversations in Public Relations Blog and YouTube Videos. 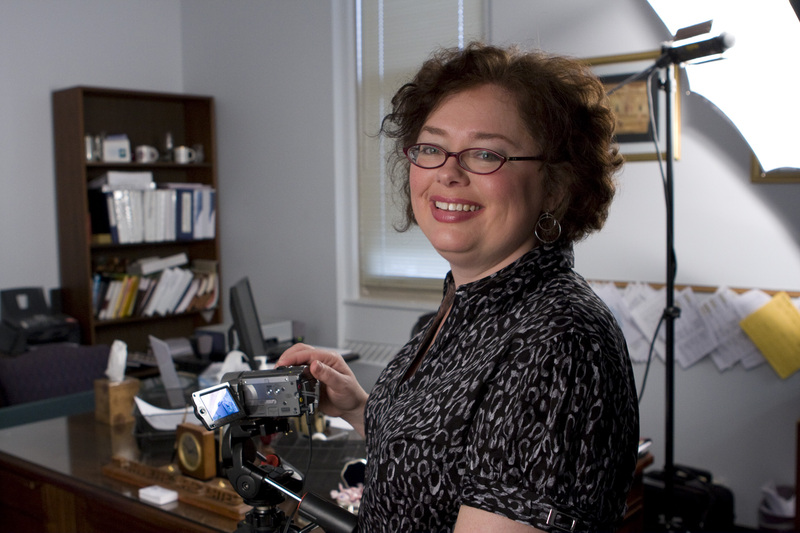 As a service to the Washington, DC area professional communications community, Fletcher Prince continues to produce videos for the YouTube series “Conversations in Public Relations,” featuring interviews with local communicators and association leaders. We produced 20 additional videos in 2010, bringing the total to more than 100 videos. Washington Women in Public Relations. Fletcher Prince donated a video makeup kit to the benefit raffle for the Washington PR Woman of the Year event. In addition, the lucky winner won complimentary YouTube consultation and video recording services. 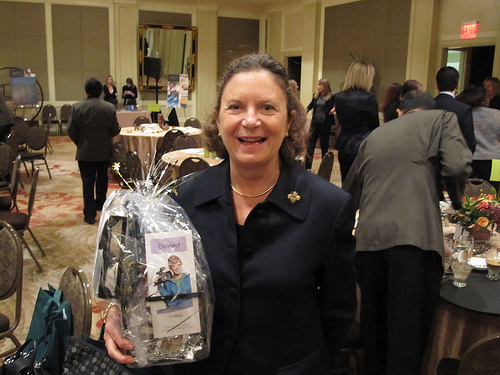 Marilynn Deane Mendell won the prize, and we set up a Channel and new videos for her company, WinSpinCIC. We continue to be grateful to our supporters. Our Facebook Fans topped 76 this year, and our Twitter followers climbed to 900. This year, we produced 18 YouTube videos for Fletcher Prince. While we continued to produce informative videos highlighting our subject matter expertise (Twitter, Facebook, and YouTube tips), we also experimented with fun promotional videos and event reports. We also created three brochures for our business, and exhibited at the Virginia Film Office State of the Industry event. 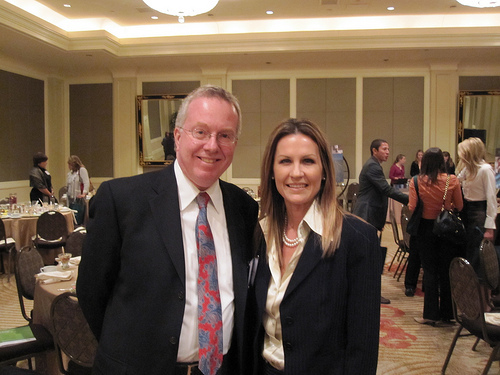 Mary served as one of the judges for a public relations competition for a national trade association. We organized a mini-golf tournament for area communicators. As a special thank you, we offered our clients complimentary holiday greeting videos, one of which was featured in the Capitol Communicator. Mary group-trained five communicators on the basics of social media. Mary presented a talk at a TIVA-DC meeting on using social media. Mary presented a workshop on blogging at the Government Video Expo. Thanks for reading. 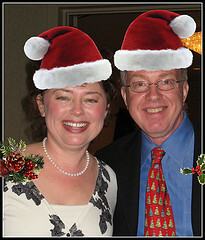 We look forward to working with you in 2011. Happy New Year! Well, we have talked a lot the past eleven days about the marketing communications work that Fletcher Prince does for clients. Since this is the season of giving, I thought I would dedicate the 12th post in this series to talk about importance of volunteer and pro bono work. My mother instilled the values of giving back at a young age. By the time I was 12, I was volunteering for the Virginia Museum of Fine Arts, tutoring Vietnamese children how to read and speak English, and participating in community theater productions. Fletcher Prince is still a young company, but each year we have been in business, we have volunteered and donated pro bono services to local communications organizations. Our first year, we donated graphic design services to WWPR for their Washington PR Woman of the Year award, and I volunteered as co-chair for the event. The second year, we helped PRSA-NCC launch their social media outreach efforts and developed their blog, and I served as co-chair for the chapter’s marketing committee. Participated in all ADDY Committee planning meetings. Created a public relations and social media plan for the 2011 ADDYs. 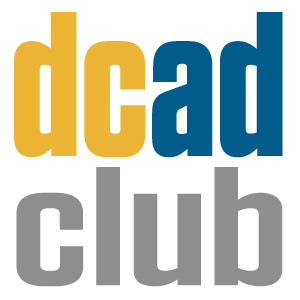 Remodeled the DC Ad Club blog, and connected it to their Facebook Page. Recorded nine YouTube videos and optimized their YouTube Channel with relevant and search engine friendly text, tags, descriptions, and playlists. We organized and tweaked the Channel design a bit, too, to more closely reflect the DC Ad Club brand. Sent a press release about the call for entries, which was picked up by Capitol Communicator. Wrote about the ADDYs in our blog, the DC Ad Club blog, and Examiner.com. 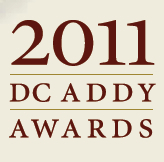 We have enjoyed every moment of our association with the DC Ad Club and look forward to our continued work with the ADDYs committee in early 2011. Our work on the YouTube video series Conversations in Public Relations continues to be important to us. 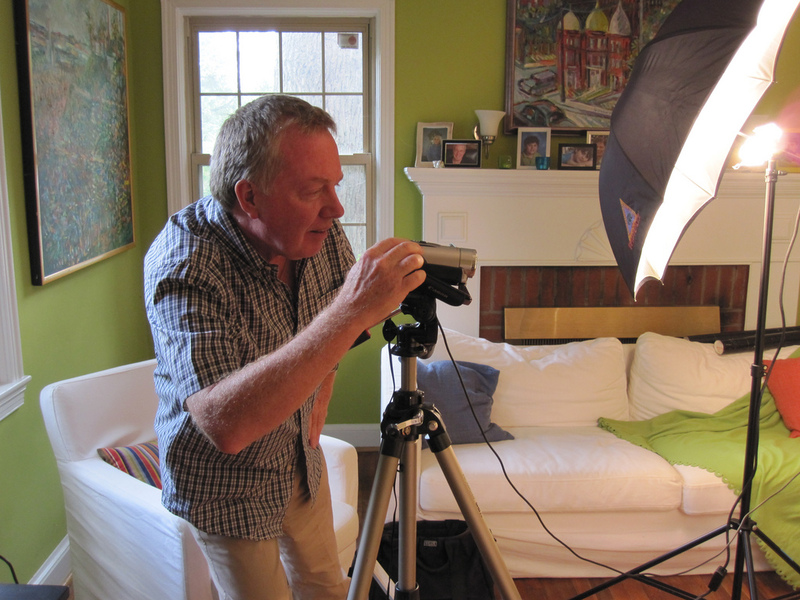 In 2010, we recorded several more videos with communications professionals in the Washington, DC area. As you know, we produce the series at our own expense and no one pays to participate. It’s our contribution to furthering knowledge, insights, and best practices related to our profession. My words to you today, on this special day, is to look for ways you can give back to your industry or to worthy projects in 2011. I know you will find, as I have done, that the rewards far exceed the effort. We attended the Independent Public Relations Alliance (IPRA) meeting about smart phone applications… very interesting and we’ll be turning our hand to that marketing tactic soon! We held a YouTube video recording marathon and we recorded business and holiday videos for three Fletcher Prince clients — Susan Rink, Sandra Wills Hannon, and Heathere Evan-Keenan. Check out their new videos and YouTube Channels. I know they would be delighted if you became a subscriber, too! We also set up the Facebook Page for Keenan PR and the YouTube Channel for The Hannon Group…we also set up the Facebook Page, pro bono, for the Digital Video Users Group, and attended their meeting on recording video with camcorders. In our promotional work for the 2011 Addy Awards, we dropped in at the RP3 Agency and interviewed Jim Lansbury about his award-winning advertising campaign for the Women’s Foundation for a DC Ad Club video…stay tuned for that on the DC Ad Club YouTube Channel; it’s a fascinating back story. We cheered on the Washington Women in Public Relations honorees and congratulated Debra Silimeo as Washington PR Woman of the Year. We donated a raffle prize of a video makeup kit and free recording session, which Marilynn Mendell was lucky to win…looking forward to helping Marilynn promote her brand on YouTube. Looking forward to a VERY busy December, as well — including more promotional work for the DC Ad Club’s Addy Awards, the One Holiday Party on December 1, and the Government Video Expo on December 1 (I’m speaking on blogging and friends Richard Harrington and Paul Vogelzang are also speaking at the conference – don’t miss it!). Thankful to be busy…and ready for a break! Last week and the past weekend at Fletcher Prince was jam-packed. We completed our 8th video for DC Ad Club in our volunteer work for the DC ADDY Awards, and wrote a press release and pitched it. Thanks to WWPR and Capitol Communicator for committing to coverage! The ADDY Awards are already off to a great start. We also created a new YouTube Channel for WinSpinCIC (our 16th) and recorded three videos featuring Marilynn Deane Mendell. And we met with PRofessional Solutions to talk to them about their branding options, including logo design and social media. Whew! I think I need a break! David’s kids are expecting him to make at least one deep-fried turkey, so let’s all say a little prayer on Thursday morning that it goes well (he says he will have two fire extinguishers very close by). It’s a short work week, but a busy one. 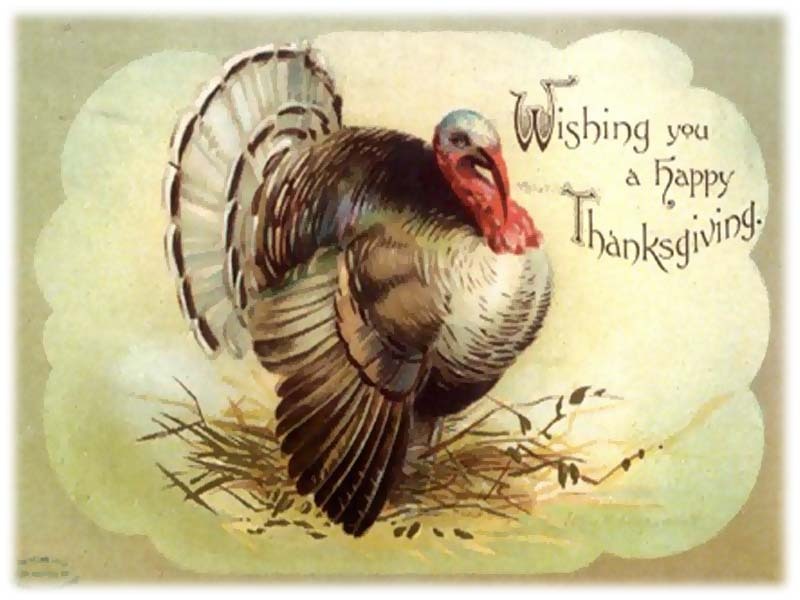 Hope your Thanksgiving plans are going well, and take care. The Advertising Club of Metropolitan Washington (DC Ad Club) has announced its call for entries for the 2011 ADDY® Awards, recognizing creative excellence in advertising. The early deadline for entries is Friday, December 17, 2010 at 5:00 p.m. The regular submission deadline is January 7, 2011 at 5:00 p.m. The member entry fees are $99 for single entries and $130 for campaigns. Non-members may enter single entries for $130 for campaigns for $155. Students may enter the student portion of the competition for $25 for each single entry or campaign. Entries submitted by the early deadline of December 17 are entitled to a $10 discount per entry. In this video interview with Mary Fletcher Jones, RP3 Agency Creative Director Jim Lansbury explains how to create a winning ADDY Award entry. A distinguished panel of advertising creative executives will gather to select the winners from an anticipated 700 entries. To be eligible for consideration of an ADDY®, all work must have been published or aired between January 1, 2010 and December 31, 2010. Entering the DC Ad Club ADDYs is the first step toward winning a national ADDY®. Winners from the local level compete in District Two (New York, New Jersey, Pennsylvania, Maryland, and Washington, DC); those winners go on to compete in the AAF national competition. The 43rd Annual DC Ad Club ADDY® Awards presentation and reception will take place on Tuesday, March 15, 2011 at the Almas Temple, Washington, DC. More information is available at http://www.dcadclub.com.